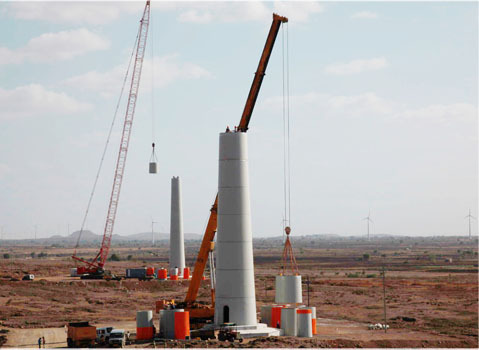 Wind World (India) Ltd. has established in-house capabilities to undertake end-to-end installation and commissioning of wind energy converters in wind farms across the country. This unique and key strength ensures quality installations and successful commissioning of WECs. With the installation and commissioning of over 5756 WECs, generating over 4200 MW since 1994, this capability has been developed, honed and enhanced over the years. Today our Projects Installation team comprises over 1000 highly trained and skilled professionals, with diverse experience in disciplines like project management, mechanical, electrical, electronics, civil engineering, etc. An extensive training program is in place to ensure skill relevance and skill currency. 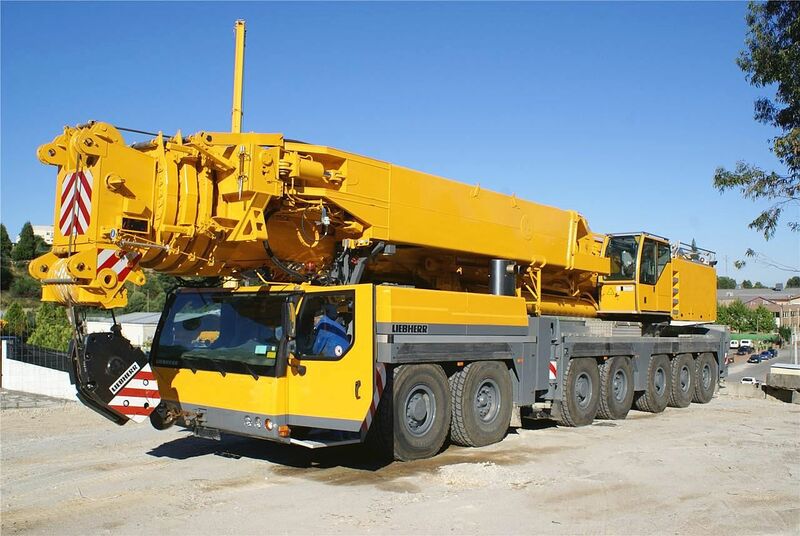 Our state of the art fleet of six Liebherr LTM 1400 cranes meet 40-50% of our annual wind turbine erection targets. More cranes are being added to enhance our capability. At any point in time, we have over a 100 cranes of various capacities deployed across the country. There is also a continuous endeavor to review our processes in line with Good Engineering Practices in step with the best in the world. We pride in our teams and their expertise - operating in extremes of temperatures (from freezing sub-zero to the searing desert heat of 50 degree Celsius) and high gusty wind conditions. We salute our heroes involved in such challenging execution - mounting a 32 tonne wind energy generator atop an over 250 foot tower is no mean achievement by any standard. Coupled with this are the challenges of terrain - from the hills to the dunes, from sticky black cotton soil to rocky cliffs, there is never a dull moment. Our teams follow the best practices in safety and quality certified as per ISO 9001:2008 standards, with strict protocols and work instructions. We take pride in having an almost zero-accident record. Our safety standards have been widely appreciated by our customers.